A search has been launched to find a mystery reporter who features on the front cover of a new book. 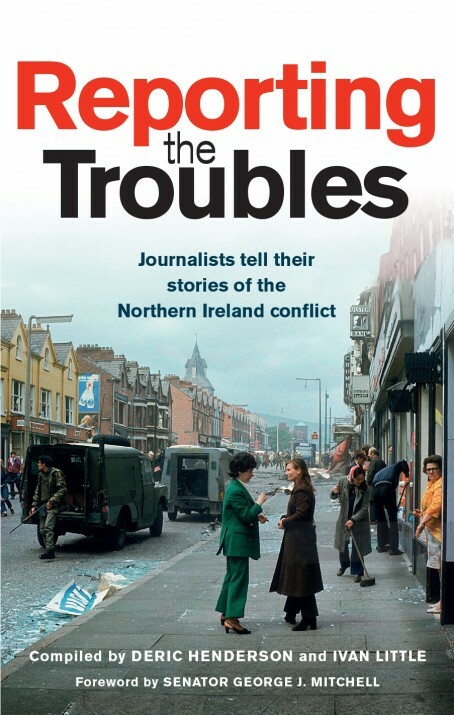 HTFP reported last month how 68 journalists in Northern Ireland had shared their experiences of covering the region’s recent history for a new book called Reporting The Troubles. The book’s front cover features a woman dressed in green interviewing someone in the Crumlin Road area of Belfast in 1972. However, despite extensive searches, no-one involved with the book has been able to identify the journalist in question. Former Belfast Telegraph journalist and Press Association Ireland editor Deric Henderson edited the book with Ivan Little, and the pair have now launched an appeal to find the mystery woman. As well as the reporter and her interviewee, the photo shows local people clearing up after a bomb attack not far from Crumlin Road’s junction with Century Street. Journalists to have been ruled out of the running include the BBC’s Maggie Taggart and UTV’s Roisin Walsh. Retired journalist Eddie McIlwaine, who worked in Belfast throughout the Troubles, told the Bel Tel: “I’ve looked at that cover photograph many, many times but I just can’t come up with a name. Nowadays there are lots of women reporters in Northern Ireland, but in the ’70s it was a male-dominated profession.